Neck Pain? Back Pain? Knee Pain? How are you responding to inflammation? 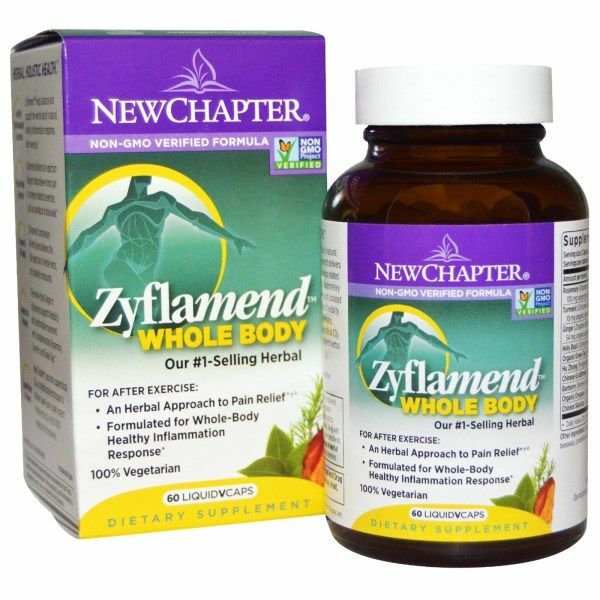 Zyflamend is the #1 selling herbal formula for inflammation response. 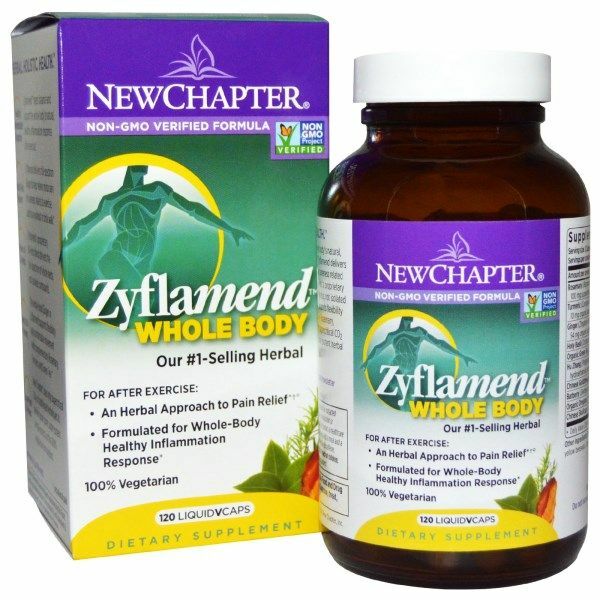 New Chapter's Zyflamend is a patented herbal formula which represents a scientific breakthrough in promoting a healthy inflammation response. The latest research suggests that Zyflamed may be used as an effective strategy to promote healthy joint function and normal cell growth. 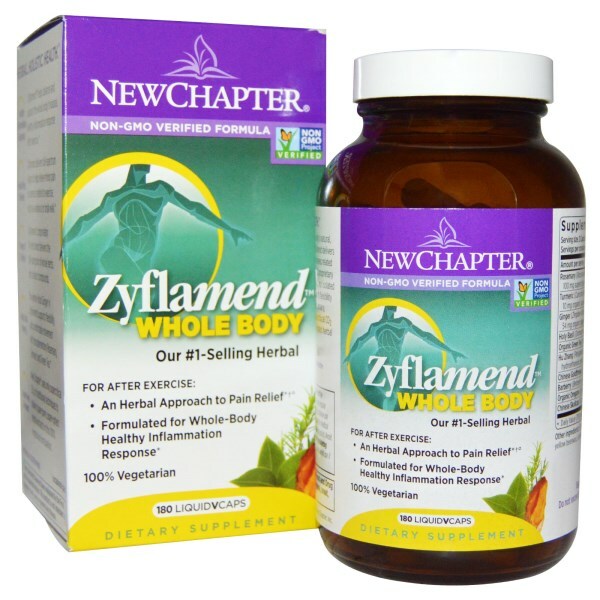 Zyflamend is made with 10 naturally extracted herbs extracted without chemicals. 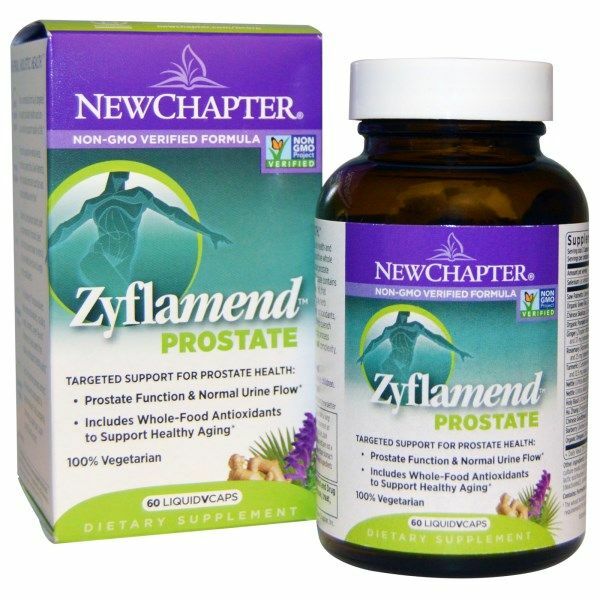 Doctor's often suggest daily use of Zyflamend as a part of an effect strategy to control and modulate inflammation, as well as support healthy joints, prostate function, normal cell growth and a healthy heart. The truth is that your body's natural inflammatory response affects every major organ in your body. 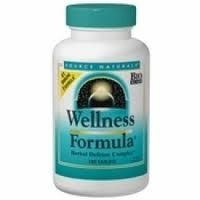 Extensive scientific research into the links between inflammation response and whole body health suggest that a natural supplement strategy directed toward sustaining healthy inflammation response is as important as a daily multivitamin. Suggested Use: Two capsules daily with food. ½ Daily Value not established. Other ingredients:Olive oil-extra virgin, maltodextrin, hypromellose (capsule), organic yellow beeswax, candellia wax, organic sunflower oil and organic olive oil.Naturally gluten free. Our premium softgel capsules are prepared without any chemical solvents and are prion free. Distributed or manufactured from New Chapter Nutrition. See more New Chapter Nutrition products.